The opportunity to build a sporting complex nestled amongst mountains and valley’s in such a natural setting is a unique opportunity in California. 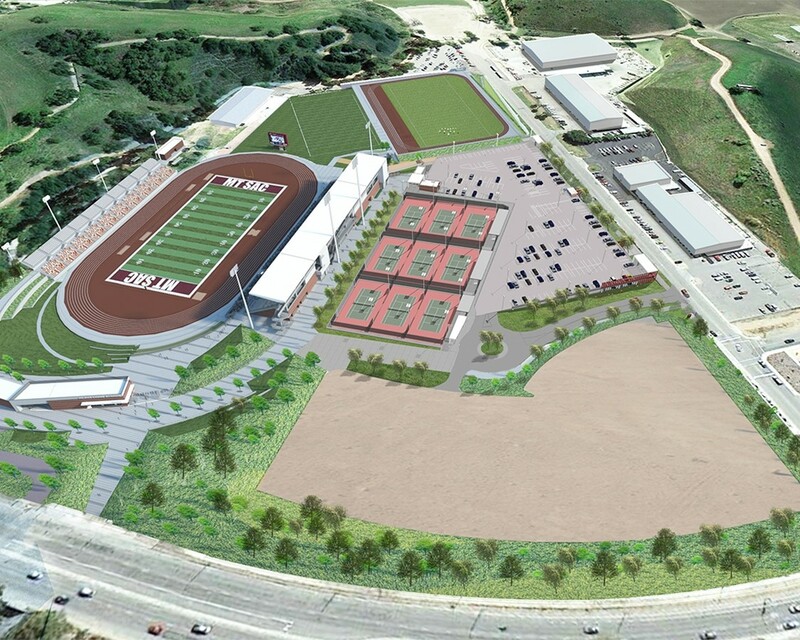 Walnut – Mt Sac may have lost the Olympic Trials but that will not deter them from moving forward with the planned upgrades they had in place when the trials were coming to town. The athletic tradition runs deep at Mt. Sac and the new upgrades will carry that tradition well into the future. “All the construction on the major buildings has begun, the finish work is pending, the project is about 25-30% completed,” said Gary Gidcumb, the manager of the design and construction of the project. ““We have the opportunity to build a sporting complex nestled amongst mountains and valley’s in such a natural setting is a unique opportunity in California. The complex is in the city but the location makes one feel that they have escaped to an urban setting if even for an hour or two,” said Gidcumb. Nobody knows what the future brings and if it brings the Trials back someday, they will be ready. Mt. SAC has always prided itself on providing service to the sport by hosting world-class events. Like the Mt. SAC Relays and Cross Country Invitational that they have hosted for more than 60 years. Gidcumb said that the motivation for the design is to preserve the integrity and history of the past but overlaid with new, said Gidcumb. We wanted to preserve the most loved traditions of the program without remaining stagnant.” We are proud and passionate about the role this new complex will play in the future histy here at Mt. SAC,” concluded Gidcum. The college’s plans to build a stadium for their students and community and to keep hosting top notch sporting events remain remains unchanged. Mt. SAC officials are confident that they can continue to be the place where the world’s best athletes compete.